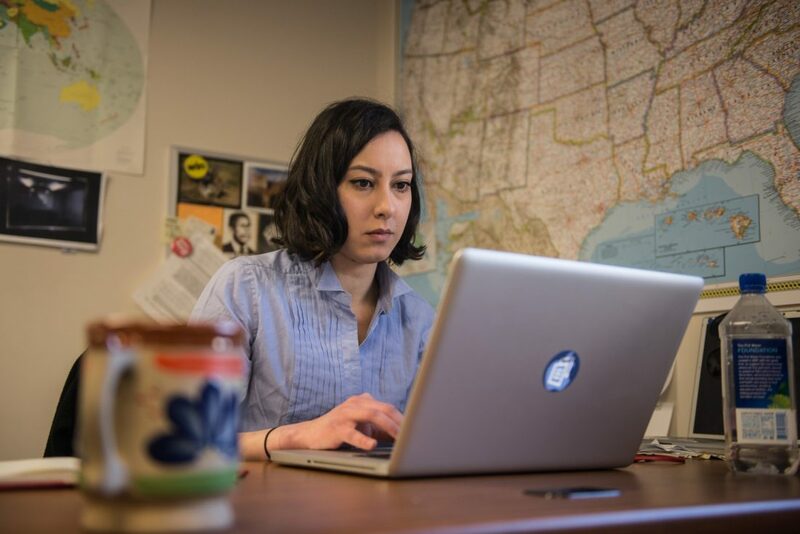 Kindle loves this project because... MuckRock addresses the crisis of journalism in America and gives thousands of people a clear and easy avenue to ask questions and get real answers. Uncovering and sharing truths continues to be one of our most important tools in these times and MuckRock is leading the way. On top of that MuckRock is taking on the Trump administration's hazy transparency and the issue of private prisons. We are so proud to support this group because it is radical, tactical, and accessible projects like theirs that are brining people together and getting the right information out there. Thank you MuckRock! When we started MuckRock in 2010, we had a sense that journalism was at a crisis point: Declining revenues and collapsing reader trust meant shrinking newsrooms at a time when they were needed more than ever, but we felt that there weren’t enough truly radical approaches to rethinking how communities could keep track of and “watchdog” local and national institutions. While we believe skilled reporters are critical to accountability, what if there were ways to invite more people into the process, to make journalism less about broadcasting knowledge to the people, but allowing communities — and individuals — to explore the questions that mattered to them and share the results with the world? We became intrigued by the idea of an open platform where anyone could register and file a records request with any government agency — and then share the results with the world. Because it was a legal process, agencies were required to reply to these requests, and unlike leaks that are challenging to verify and pose a number of security challenges, using software to help people file public records requests was something we thought could scale out to everywhere and open to everyone. Since then, we haven’t solved the crisis of ensuring an informed democracy. Things are more challenging now than ever before, with “fake news” being used as a slur against the press while people struggle to make sense of a deluge of information where fiction often looks more credible than fact. But we have helped people open up their government and push for positive change. Almost 10,000 registered users have filed over 35,000 public records requests and helped release over 1.5 million pages of previously secret documents — and that does not include over 13 million pages we recently helped release from the CIA. The site is now used by local and national journalists all over the country and even all over the world to uncover important stories. Reporters can then share their process with readers, letting them see exactly how they got the documents, while also teaching the public that this is a right everyone has. And sometimes the best requests are filed by ordinary citizens asking important questions. We’ve had users request — and get! — documents ranging from use of force policies with their local police department to documents detailing illegal spying in their city. We’ve also helped people find more fun data points, such as the most popular dog name in their city. The result is a thriving community where the sum is greater than the parts — the collection of tens of thousands of requests makes it easier for everyone to stay informed about what government is doing in their name. We’ve also started helping groups collect similar requests with our Project feature. And that’s where Kindle Project came in. Thanks to Kindle Project’s grant, we’re excited to expand two projects in particular. The first is the Private Prison Project, which for three years has helped dig into how prison privatization often brings a host of dangers, hidden expenses, and inhumane treatment, while often saving less than proposals promise — or even nothing at all. With the grant, we’ll be able to build out our database of contracts, outcomes, and news articles to make it easier for activists, researchers, and the general public to understand the impact that private prisons have on the incarcerated, local communities, and America’s justice system. The second is a project focused squarely on the Trump Administration. We’ve seen worrying signs of disappearing transparency and attacks on the first amendment since the new administration, and by building a collection of Trump related requests we can learn together while also documenting hard facts in an era where they seem perilously hard to come by. We’re so honored by this grant, and are excited to empower our community of transparency nerds to do amazing things with it!